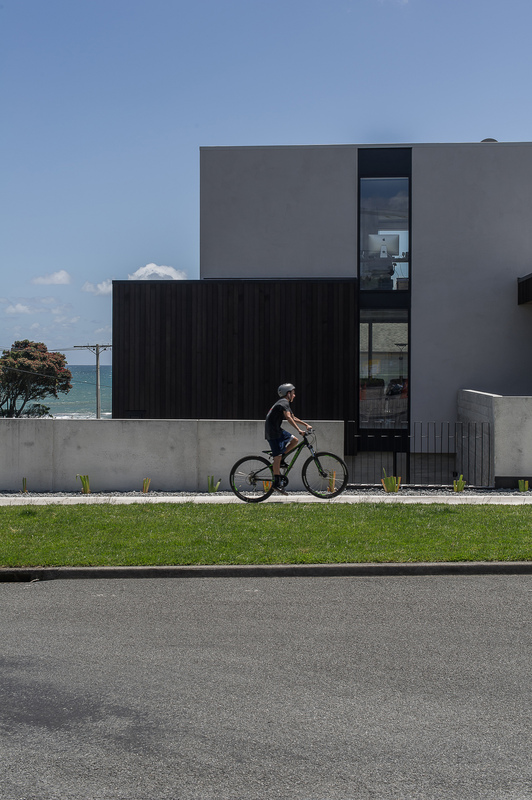 This new concrete and cedar family home works hard to maximise the clients programme needs within the tight constraints of this small urban beachside site. The client’s objectives were primarily to make the most of the sea views whilst achieving a contemporary clean line aesthetic. 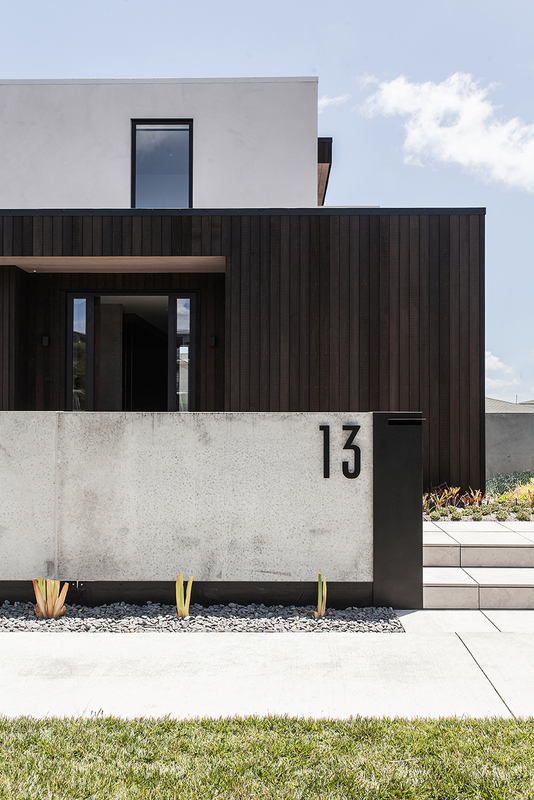 The home had to have a minimal and hardwearing material palette to respond to the harsh coastal environment. 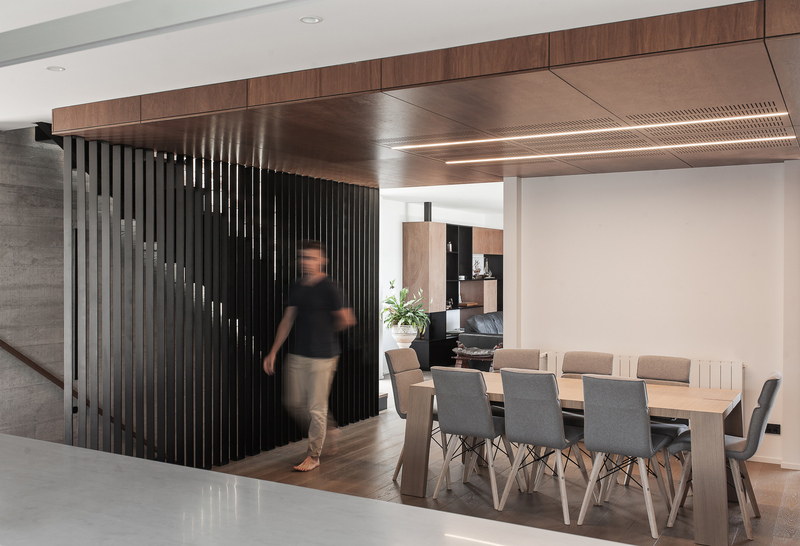 Operable black screens provide a perforated visual element to soften the bold forms. 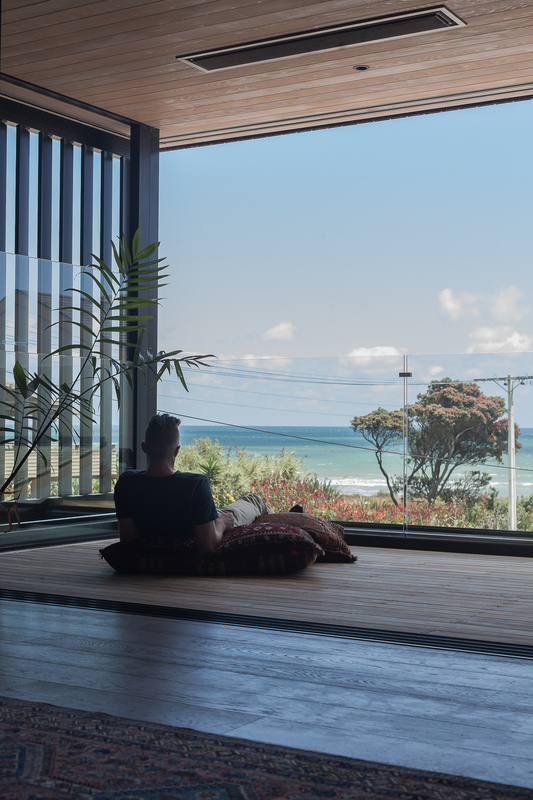 They also enable exterior spaces to be closed in during bad weather, filter light into the living spaces and provide privacy to the occupants. 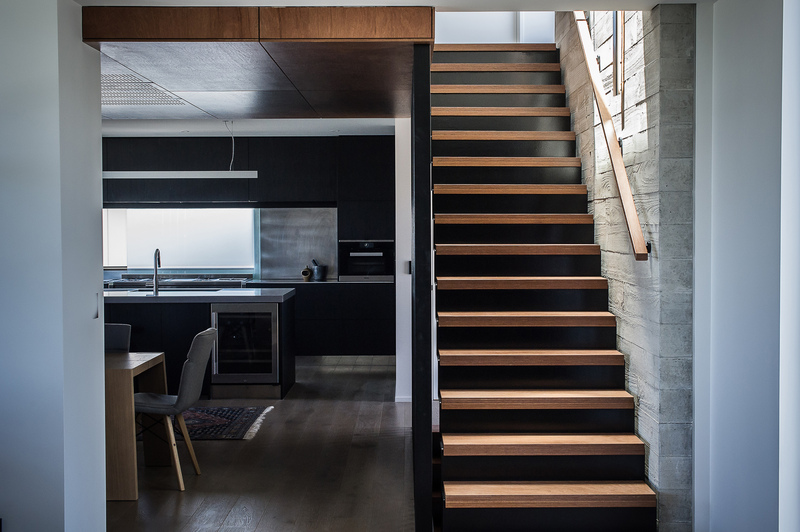 The simple material palette is continued within the interior. White painted plasterboard walls are contrasted with keruing plywood panelling and in-built joinery through-out. 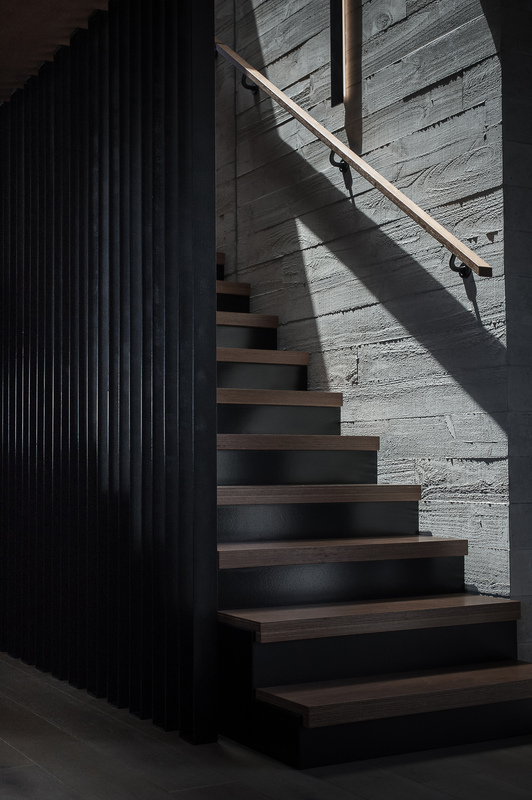 Rough sawn formwork is used to give texture to the soaring 3 storey concrete walled stair well and skylight above, black steel bladed screens and custom lighting enhance the concrete texture and feeling of light and dark. The mid leveled main entry is accessed directly from street level via a succulent based green roof echoing the nearby dunes.